Immense™ is a series of artistic glass mosaics inspired by architecture and nature. Incorporating a mirrored effect and a subtle iridescence, Immense is an exploration of designs, colors and textures, offering depth, variation and drama. Foliage – Inspired by a cluster of leaves, which creates an arrangement of irregular lines and patterns. 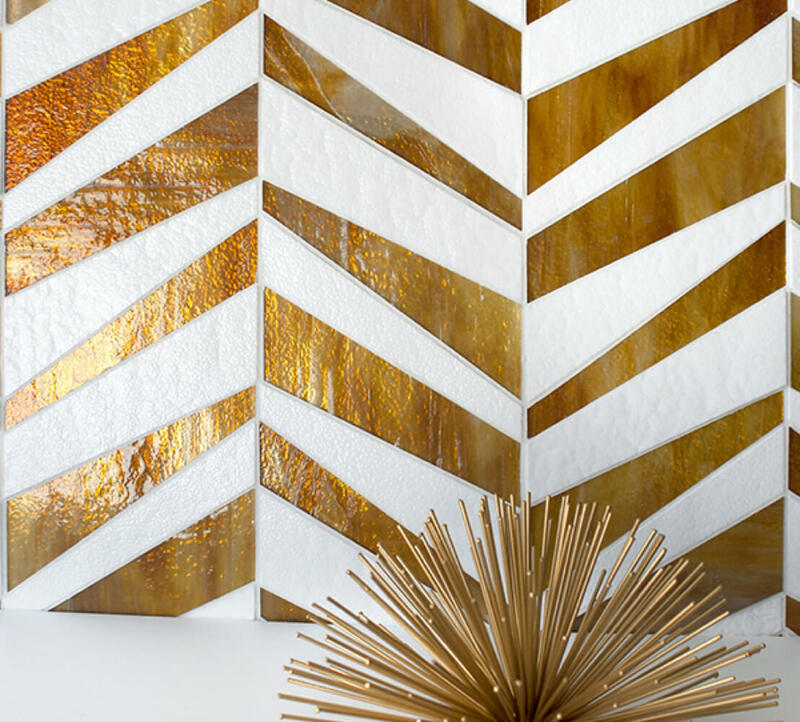 Effects – Inspired by architectural elements, where lines and figures are interlaced, creating multiple layers and depth Parallels – Inspired by architecture and luxury, where triangular patterns come together to form a structure with variation in color and material. 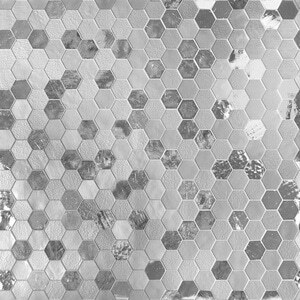 Symmetry – Inspired by nature, where pattern and proportions are flawless, as with a honeycomb. 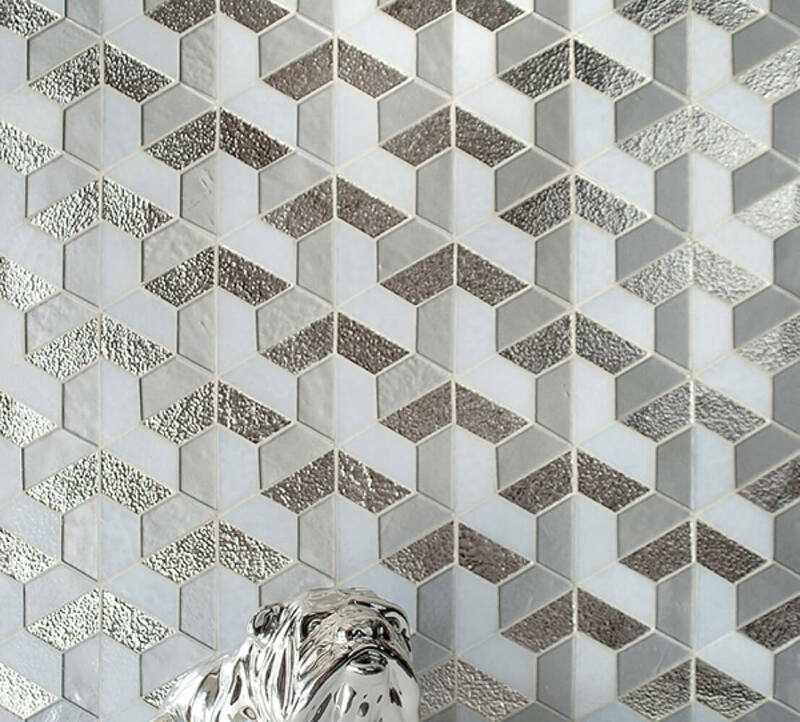 Murrine is a series of hand-cut, artistic glass mosaic comprised of up to 78% post-consumer recycled glass. Measurements may vary slightly due to the hand cut character of the product. Colors may vary slightly by production lot.